through research, education, and advocacy. Click HERE to learn about AAUW. The AAUW Strategic Plan is created through an inclusive process involving the AAUW Board of Directors and staff. The goals, indicators of success, and strategies reflect an integrated approach to fulfilling our mission, vision, and value promise. 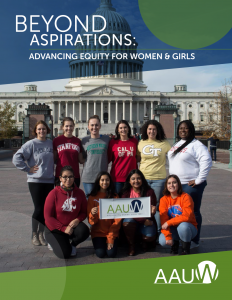 As AAUW continues to move forward in a changing world, so have our Strategic Plan and our Vision Statement. For more in information about Monmouth Area AAUW, contact vanausdm@gmail.com.